NASA will host a media teleconference at 11 a.m. PST (2 p.m. EST) on Thursday, Nov. 15, to provide an update about the Curiosity rover's mission to Mars' Gale Crater. 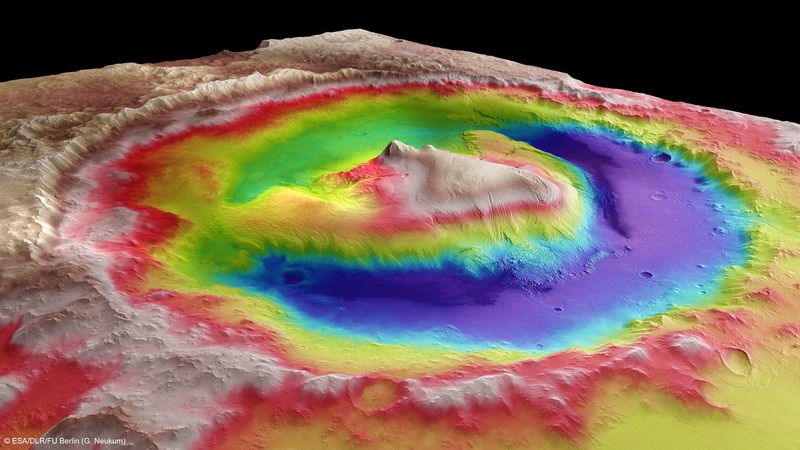 The image above shows Gale Crater in 3D Credits. This image, taken by the High Resolution Stereo Camera (HRSC) of Mars Express, has a resolution of 100 metres per pixel. It is colour-coded based on a digital terrain model derived from stereo image data. Image credits: ESA/DLR/FU Berlin (G. Neukum).